4. Someone created a meme from my recent FTF! 6. Good things come to those who wait. Apart from FTFs. 11. Just give us a hint! I’m a terrible PAF at times, my friends have to be desperate I reckon to message me. ? And number 10, now the calendar is over the thrill of popping out for a few caches, not just one. Liberating! ? I’m the exact same now – I love not having to ‘save’ caches for my streak! Freedommmmmm!! 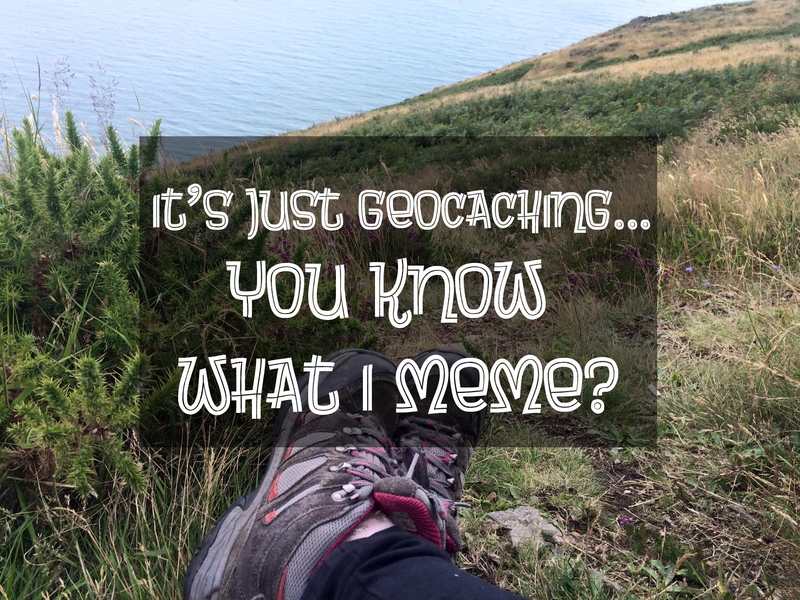 There’s such a variety of geocaching blogs around too, some really great ones! Have a look for washknight – geocaching blind. He has a great blog and also keeps a list of geocaching blogs! Oh wow thanks I’ll have a look now it’s taking me forever to get used to the site lol. I encountered #5 this weekend. I was out with 15 other geocachers on a 15km (according to the map) hike. (My phone said 21km). At one cache, we were passed by a number of other hikers going the other way and one asked me what we were looking for. When I said Geocaching, he asked if we were looking for money! Fantastic! Love the T-shirt “Geocaching makes me happy. You, not so much” My wife didn’t like it as much as I did..